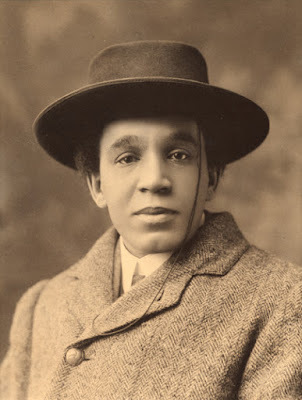 This film will explore the remarkable life, music and political involvement of Samuel Coleridge-Taylor, the classical composer, who was born to a father from Sierra Leone descended from African-American slaves, and who shot to fame in Edwardian England and the United States, only to die at the tragically young age of 37. Len Brown will present the film. Chi-chi Nwanoku, Dr Imaobong Umoren and Dr Padraic X. Scanlan will participate in the subsequent roundtable discussion chaired by Professor Matthew Jones. Len Brown is an award-winning documentary film writer and director; producer/director of the Sky Arts documentary on Samuel Coleridge-Taylor being screened. Chi-chi Nwanoku, OBE, is Professor of Historical Double Bass Studies at the Royal College of Music and an Honorary Fellow at the Royal Academy of Music. Chi-chi was a founder member and principal bassist of the Orchestra of the Age of the Enlightenment, a position she held for 30 years; in 2015 she established the Chineke! Foundation to provide career opportunities to young Black and Minority Ethnic classical musicians, which has gone on to form Europe's first BME Orchestra. Imaobong Umoren is Assistant Professor of International History at LSE. Her research interests include the intersecting history of race, gender, migration, and religion in the nineteenth and twentieth century Caribbean, US and global African diaspora. Her book, Race Women Internationalists: Activist-Intellectuals and Global Freedom Struggles, was published by University of California Press in 2018. Padraic X. Scanlan is Assistant Professor of International History at LSE. His research interests include histories of slavery, capitalism and emancipation from the early seventeenth to the mid-nineteenth centuries, and in particular on the abolition of slavery and the slave trade in the British empire. His book, Freedom's Debtors: British Antislavery in Sierra Leone in the Age of Revolution, was published by Yale University Press in 2017. Matthew Jones is Professor of International History at LSE and Head of Department.